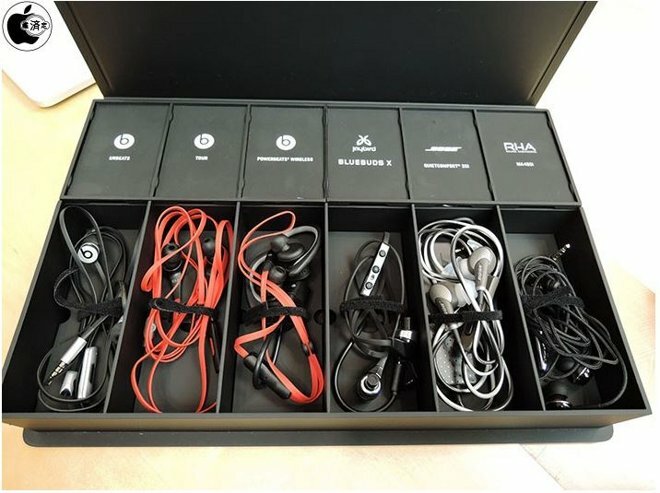 The image, from Japanese blog Macotakara, depicts a tray with several different brands, including three Beats models —the Tour, urBeats, and PowerBeats 2 Wireless —plus three models from other companies. These include the JayBird BlueBuds X, Bose QC20i, and RHA MA450i. Notably missing are Apple EarPods.